Nigeriaâ€™s senior menâ€™s basketball team, the Dâ€™Tigers open their 2019 WorldÂ Cup qualifiers today in Bamako, Mali with a game against Uganda with 2017 Afrobasket MVP, Ike Diogu as the teamâ€™s pivot. Playing in group B of the qualifiers against other teams like Rwanda and host, Mali, Dâ€™Tigers will file out in the second match against Rwanda tomorrow before ending the first round against Mali on Sunday. Apart from Diogu, the other player from the 2015 Afrobasket winning squad in the team is Ben Uzoh both of whom will be joined by Michael Efevberha, who powered Nigeriaâ€™s offense with a team-high 17.4 points per game in the 2009 edition of FIBA Africaâ€™s flagship tournament in Libya. Nigeriaâ€™s final roster for the qualifiers are Ayodeji Akindele, Ojo Michael Adetokunbo, Nwogbo Afam, Obi Emenago, Ofoegbu Uche, Christopher Obekpa, Omogo Emmanuel, Bryant Mbamalu, Tali Zanna, Ike Diogu, Ben Uzoh and Micael Efevberha. 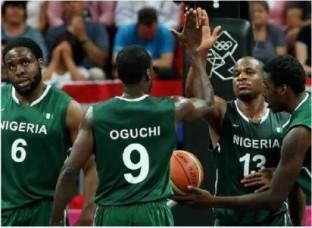 The post Dâ€™Tigers begin World Cup qualifier against Uganda appeared first on Vanguard News.